Travelling on the train towards Czech Republic, I would like to share a thought with all of you on your Tuesday morning. The air we breathe, the water we drink and the soil we grow our food from. And much more. We have all of this to thank for the life that exists on this Planet. Without this life, we would not have an atmosphere (something we are losing as we chop down forests and pollute the air). In fact, we would not be here. Those of us who think that we are not having an influence on our Planet right now that is detrimental to the survival of life as it exists now, including the future of humanity, have not understood how interconnected our lives are with all other life on this Planet. 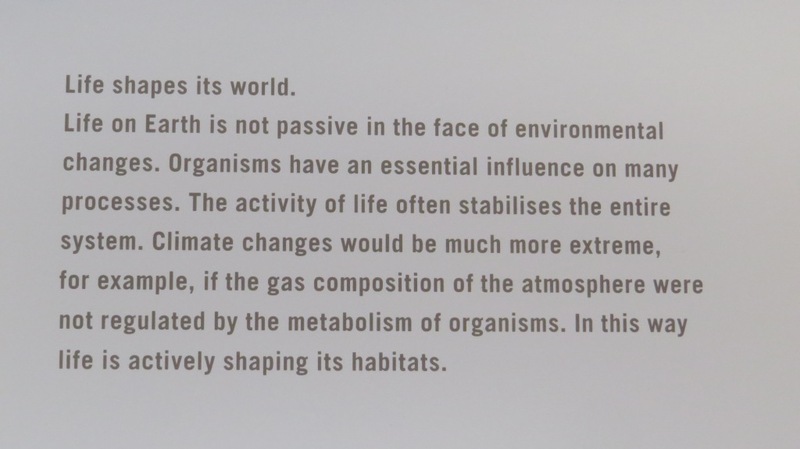 Picture Credit: Justine Braby, writing by the Natural History Museum of Berlin.